The Orange Tree, by Helen Shaw, The Pelorus Press, 1957, 80 pp., 7s. 6d. In this collection of eleven stories (attractively produced by the Pelorus Press – though an unfortunate misprint spoils the Contents page) of which none are long, and some so short as to be sketches only, Helen Shaw has steadfastly kept her sights on a limited target; but she has achieved by doing so a notable series of bull’s-eyes. The least successful are those pieces in which she has engaged a target at longer range, but even here she rarely scores worse than inners. Her subject is the day before yesterday, or rather, the fragments of it that persist around us today, in the shape of old houses and old people. In her descriptions of these she is brilliantly successful; she has captured by suggestion a whole chapter of New Zealand’s social history. Economically, reasonably, but with real power, Helen Shaw has evoked the flavour of a material world familiar in its heyday to all those who grew up in this country; and familiar now in its ghostly decline, to all those whose eyes are sharp enough to spy, as they roll past, the bleached woodwork and the shuffling figure through the luxuriant leafage of the overgrown garden. Yet on the whole the portraits of people, penetrating as they are, do not come up to the loving rebuilding in words of those gaunt and fretted dwelling houses which are everywhere to be seen in our older suburbs. In a sedate style which suggests lace curtains and clean doormats, yet with the occasional bizarre flourish of words like the extravagantly carved eaves under the tin roof, Helen Shaw has transfixed verbally, as Lee-Johnson has done pictorially, the essence of this slice of our history. The setting of ‘The Blind’, the longest of the stories, is a good example. The coloured glass verandah windows, the frilled pillows, the coal range, plush furniture, varnished dados, dark wallpaper – all the details are there of the house which has been a lifelong home to the dying mother and her two ageing daughters; and they are introduced so unobtrusively and yet so firmly in the course of the narrative that the suggestion and atmosphere are mesmeric in their power. From this point of view the stories are beautifully worked: it is when we look closely at the figures who emerge from this background that a certain uneasiness becomes apparent. The people are not so confidently presented nor so independently observed as the houses. To say this is not to detract from He1en Shaw’s achievement: she has chosen to work in a small compass. Outcrops of stylization which appear here and there could be due to the compression which is so powerful an aid to the story teller. But in a sketch like ‘Mrs O’Connor, I Said’, which depends entirely on the vitality of an old woman’s talk, a certain thinness does show itself: the sketch is a brilliant piece of reporting and a brilliant re-setting of that ever-bright jewel, an old person’s courage; but it is not marked by imaginative insight. ‘The Three Strange Miss Vinings’, on the other hand, is so marked. Established as a fantasy in a dream setting (‘a pale, haunted facade of lace-edged verandahs and balconies’) this story is rich in undertones and suggestions of conflict and of grotesque endeavour. But when faced, as in ‘Cassie’, with the problem of portraying a normal little girl’s bewildered reaction to a widely varied set of new emotional experiences, Helen Shaw has managed only a pastiche of Katherine Mansfield. It almost seems that this author reacts best to the stimulus of a particular situation: characters individual in their vitality (which is usually misdirected) placed in a setting decayed and marked by the hand of time. Nelly Mathias, remembering her girlhood in the house where she is now an old woman, Mr Valentine facing the angry bull across his garden border, old Miss Barclay shouting abuse at young Wilson who has bought her land: they are all human creatures proclaiming their uniqueness from among their mouldering habitations, asserting their existence before they are claimed by the everlasting silence. No author could achieve such depths as this without considerable writing skill. Terse and coherent in form and rhythm, this author has a fine ear for epithet and a fine eye for images. Consider a sentence like this from the title story – ‘Slowly Mrs Kingi lowered herself into the springless sofa’s bobble-trimmed plush and sat counting birds skimming over bushy native mangroves that grew on a fan of tidal mud ending in a swamp not far from her boundary.’ This is narrative, yet how diversified in suggestion, how powerful in visual compulsion! Incidentally ‘The Orange Tree’ is the only story with Maori characters: the unsentimental comment it pronounces on the differences between the Maori and the pakeha outlook seems to show that Helen Shaw could well explore the theme more exhaustively. It is pleasant to find such assured talent: and pleasant too to hope that its cultivation will yield further valuable fruits. Our stock of available reality not only has been more or less stopped being added to, it is rapidly shrinking, and what remains of it also is becoming costlier. 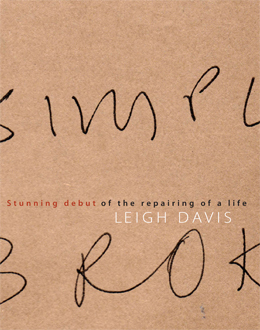 The stunning debut of the repairing of a life by the late Leigh Davis is one of those increasingly rare books that not only dares to but succeeds in augmenting our stuff of life. It is a humbly ambitious work of wide scope and deep integrity. If, as Wittgenstein suggested, the ethical is fundamentally a question of an individual’s attitude when regarding the world-as-it-is, Davis’s book is quietly powerful enough to prompt the reader to question perspectives informing their own normative outlook. And it is in this regard that Davis’s The stunning debut can be considered the finest long poem published by a New Zealander since Smithyman’s Atua Wera. It gets under way with a proem in which Davis provides a statement of intent: ‘I want contemporary forms, that is, to do something new. /I don’t want novelty but archaic ingenuity.’ This amounts to an honorific idea of poetry – or at least of what it ought to be: a desire for poems that are, amongst other ends, self-evaluative of an imagined life. It is a project that is greatly distanced from the young Leigh Davis’s iconoclasm, the provocative brio that informed him when he founded the journal And and the Jack Books imprint and through it issued his first book Willy’s Gazette. Wystan Curnow, whose own Cancer Daybook came to mind when I was reading The stunning debut, reports Davis felt that it seemed ‘increasingly clear that the old world—medieval, or more strictly post-Classical, thought—supplies major aspects of visual art’s contemporary meaning,’ to which Curnow appends the comment that Davis’s view applied ‘not just visual art either. If there was one idea that separated the later writings from the earlier, that was it’ (Journal of New Zealand Literature, Spring 2010). As a student of modernism – of Pound and Joyce and Williams and so on – that Davis would arrive at such a view is hardly surprising. His redemptive archaeologies are tempered with scepticism derived from the American Language poets and post-structuralist theory, but similar doubt is evident in certain totems of the Pound era, as in, for instance, Dante, even at his most beatific: ‘How weak are words, and how unfit to frame/My concept…/Eternal light’ (Paradiso, Canto XXXIII). In Davis’s words, it is ‘(d)yslexia, or that trouble, again: original meaning arriving with more pressure or insistence through confusion in the signs’ (‘Bearing Witness’ – Davis on Stephen Bambury’s Siena Paintings, February 2001): the bewildered and complainant body, seen for its telling humours and perennial dislocations, is the vessel and terrain for the journey back, the voyage home. Language is crafted into a vessel with which to sail a katabasis to the sea of death. Davis’s usages of synecdoche, both pars pro toto and totum pro parte, make this subject and its object seem as boundless and unknowable as constantly-shifting seascapes and language themselves. The section of the book following the proem consists of facsimiles of a notebook kept by Davis during his recuperation after serious brain surgery. A specialist of brain trauma or a student of linguistics would be more likely to offer worthwhile assessments of these than I can do, for whom they offer little more than curiosities of biographical circumstance. But insofar as modernism’s ‘etherised patient’ is remade and re-rendered as nonfigurative by medical realities, these higgledy-piggledy notations, gradually moving towards coherence and informed acceptance, provide evidence of the sad worldliness and trauma from which repairing of a life was made. Think of the serious illness John Donne suffered in 1623, which produced similar concerns: in ‘Hymn to God, my God, in my Sickness’ the poet considers his destination as if he himself is a vessel that may reach the desirable places of this world and other, but only by negotiating some painful straits. His conceit seeks to catch the working of providence itself, which shapes human accidents in patterns of timeless truth. More recently, C.K. Stead’s collection, The Black River (i.e. the river Styx), was written after a stroke had left its author dyslexic for a time. Crested on life’s whelming finitude, many of the poems seem to project a desire to look back, to take stock, and, not unusually for Stead, to settle accounts and scores. The modernists’ anaesthetised bodies – deranged or sick selves and society – provide Davis with a means and a tradition with and in which to operate. Yet, in contrast with Stead, it appears Davis had a rather more conciliatory purpose. I: Know God (Soft Structure), the book’s first section after the notebook reproductions, consists of a gentle Lucretian meditative sequence, a De rerum natura, which is characterised by supple and patient movements of mind, both in and through language, and in and through life. It resists paraphrase and necessitates a lightness of touch in response. Refuge and integrity are found in luminal abstractions and focused particulars. The language is open to the world and graceful in contending with it. Although it often skirts near to sentimentality, it never quite tips over into it; given such propriety, it is free of the standardised post-Language school diction, one that has rapidly become homogenised far beyond cliché, both saccharine and mouldy, that one often encounters when reading ‘experimental’ writing. Words are refreshed by the poet’s precision and lack of assumption, as is the world from which words ultimately derive. The final sequence refocuses Davis’s poetry outwards and down into Odyssean actualities. The myth kitty, given its lack of bite and myriad of infections, is generally shooed off, and usually this is for the best. And although the culminating section seemed less fulfilled and more contingent than the preceding sequence, nonetheless, though only after several revisitings, its correlative significance clarified and became resonant. Far from the first time, Homer’s wilily luckless persistent navigator is called on to provide directions, to demonstrate proper conduct, and to translate the inscrutable terms of providence. In no way is this novel; rather, it is original, like reading your father’s or grandfather’s diary. This review warrants an apology – albeit one that is soundly qualified. I have made few quotes from the text, and possibly not offered enough of the expected sense of ‘what it’s like.’ Indeed, I have made more from other sources than the book at hand. And yet I haven’t been able to resist this turn. Davis’s is an old book, almost old beyond words: it is filled with echoes; perhaps it contains nothing but echoes. And my reading of it has been ghosted by many voices. While I have been writing my response to Stunning debut, I have felt like I imagine it would feel to review, say, The Book of Job, Grimm’s Fairytales, or Tractatus Logico-Philosophicus. These are bottomless texts. They are texts about which one could write an endless amount of different readings. And there have been many re-readings and many rewritings. Deadlines have come and gone. In the end, to borrow Wittgenstein’s words, let it be said that ‘this book will perhaps only be understood by those who have themselves already thought the thoughts which are expressed in it – or similar thoughts’, which, in my view, is every reader, if they are prepared to admit it. It is a book to be read – nothing else will prove sufficient. John Newton made a provocative point when, prefacing his reading at the Home And Away trans-Tasman poetry symposium, he suggested that contemporary poets haven’t yet moved any substantial distance from the norms of Romanticism; feelings, he says, remain our poetic raison d’être. But if finding themselves under sufficient pressure or urgency, poets may find other older ways to write here and now. 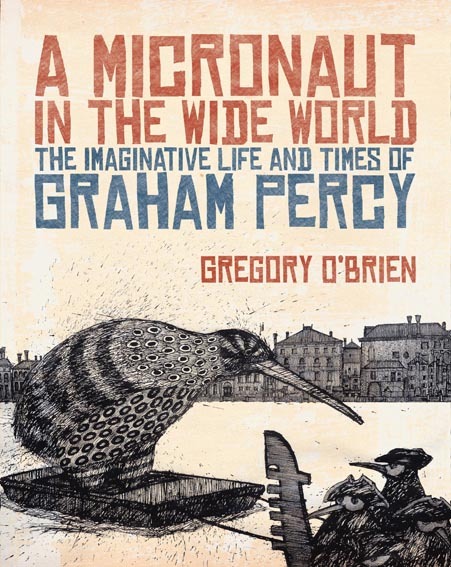 ‘What is most modern in our time,’ according to Guy Davenport, ‘frequently turns out to be the most archaic’ and ‘(t)he heart of the modern taste for the archaic is precisely the opposite of the Romantic feeling for ruins’ (The Geography of the Imagination, pp. 21–22): this is a perspective for which Davis has provided a timely instance. Sentimentality or swoons are not allowable when undertaking a Homeric Nekyia: Leigh Davis’s posthumous katabasis is a demonstration of both these truths: an unblinking steady-handed going down towards open water. The repairing of a life is a measured and moving retelling of a perennial story. ROBERT MCLEAN was born at Bethany in Christchurch, New Zealand in 1974. His poems, translations and reviews have been published in a variety of periodicals and anthologies both locally and overseas. 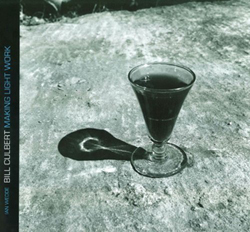 His first collection, For the Coalition Dead, was published by Kilmog Press in 2009; For Renato Curcio (Gumtree Press) followed in 2010. Time escapes Wulf, leaps and bounds and bubbles and weaves between the words on the pages. This is no armchair narrative, you don’t get to cosy-up in a warm blanket sipping hot chocolate, a semi-conscious passive recipient of a predictable, orderly narrative. Thinking is compulsory. Even little knowledge of New Zealand history is a passport to thrive on Wulf and if you don’t know, here’s a fine way to enter the conversation. Wulf rewards the diligent reader. Dive into the ancient, imagine a time before time, the origin of time, words heavy-laden with ancestors treading deep into the infinite as you read. Te Rauparaha — the ‘Great Wolf’, ‘Southern Napoleon’, monster-demon, warlord, magician, cannibal-poet, ruthless, cunning and mightiest of New Zealand chiefs — permeates the narrative like the underside of a long cloud foreshadowing history. Traversing the landscape barefoot he glances behind, spies blood on a stick broken underfoot; the land is bleeding (his foot is bleeding) but the land is bleeding; flesh is land, people are land. If you haven’t forayed very far into the Maori world, be prepared to turn everything you thought you knew upside down. New Zealand is, after all, geographically upside-down to England; a fitting image for a meeting of worlds. The Southern Cross is an anchor, gold is green, geographical drawings are portraits of faces staring back at you, trees root deep into a sky beneath sky and history is prophesied. Language doesn’t reside in ink on paper but lives on faces and dances in caves, riverbeds and markings in the sand; a vocabulary of the natural world in which Te Rauparaha is highly educated. Cowell, trading master of the brig Elizabeth, bridges the impasse of mirror opposites. He’s been to New Zealand before, traded and spoken the native tongue. The crew ponder his true allegiance while listening awestruck to his tales of mighty chiefs, shrunken heads, giant eagles, alliances and betrayals, peace-time, slavery, infanticide and creation-myth and legend. Tribes fade in and out of existence like twinkling stars puncturing the black void of night, shifting in the kaleidoscope. Earthquakes shift land too, creating deep ravines, echoless pits and mountainous ranges. Details are bloody, gruesome and cruel; corpses adorn the landscape — draped from trees, littering waterways. A young boy is killed with a single snap of the neck, a young woman is ensnared to her death, tracked, butchered and cannibalised. The carnage is savage and not for the faint-hearted; and yet equally these constellations of circumstance are breathtaking, dizzying, wondrous. Wulf is also deeply paranoid, and so it should be, it’s historical fiction. History is subjective and often as enigmatic as the Old English poem ‘Wulf and Eadwacer’ that inspires the novel. Who tells the story and how do you know who they are? History is a fanfare of voices heard and unheard, stories told and untold, morphed, altered and contentious, a cornucopia of image, sound and flesh. This is refracted throughout the novel. The crew aboard the Elizabeth politely eye-ball each other, pry into corners of privacy, discover themselves there and become more paranoid. True intentions and identities are suspect. For these illiterates in an alien land, the inability to decipher a layout of shells on a beach, a fire on Kapiti Island or sounds of breaking sticks is unnerving, as is the inevitable default to familiar frames of reference. Is a surreptitiously placed basket of fish a gift of food or a trap? Even alone in nature they feel watched, tracked, spied upon, entered by unseen spirits. All eye all askance. Te Rauparaha observes from land, Cowell and crew from sea, each astutely aware of each other’s presence, in dreams and in waking. Omens, visions and premonitions trip over themselves, watching, waiting nervously for their respective fates to collide. In refusing to name his narrator, Hamish Clayton supersedes the perennial problem of pleasing history (without losing authenticity) and teases, taunts even his reader and critics by denying disembarkation. It’s your story too, you don’t get out that easily, not without a deep look in the mirror. Nameless narration causes you to recognise a little of yourself in the fabric of the story. As the novel unravels, Cowell’s charm fades as he is seen for what he really is; the bridge retreats and mirror opposites start to look the same. These tacticians begin to reflect the inconsolable truth of each skilfully playing the other at his own blood-soaked game, each a Trojan horse destroying the other from within, and yet much more like the other than they dare to think or even realise. Authorship must be more than the clever arrangement of words on a page. Words breathe when they command attention, when complicity is mandatory; otherwise they fall away like dead cells. 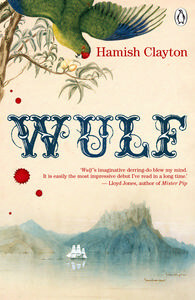 Clayton achieves this in Wulf, a haunting, powerful evocation of a book I loved and clung to, even as it sank me under an ocean of tears. MIA WATKINS is a Dunedin-based writer most recently published in Landfall and The International Literary Quarterly. She is inspired by a simple love of reading and writing.